Nyle Akers bought a farm near Brayton, IA, in the late 40s after World War II. Though there was originally a traditional red barn on the property, it was deemed unsafe in the early 60s and was torn down, so Nyle and his uncle Trilby built a white circular barn in 1958 to replace the soon-to-be demolished red structure. The east side was used as a dairy, and the west side was used for farrowing and sheltering hogs. 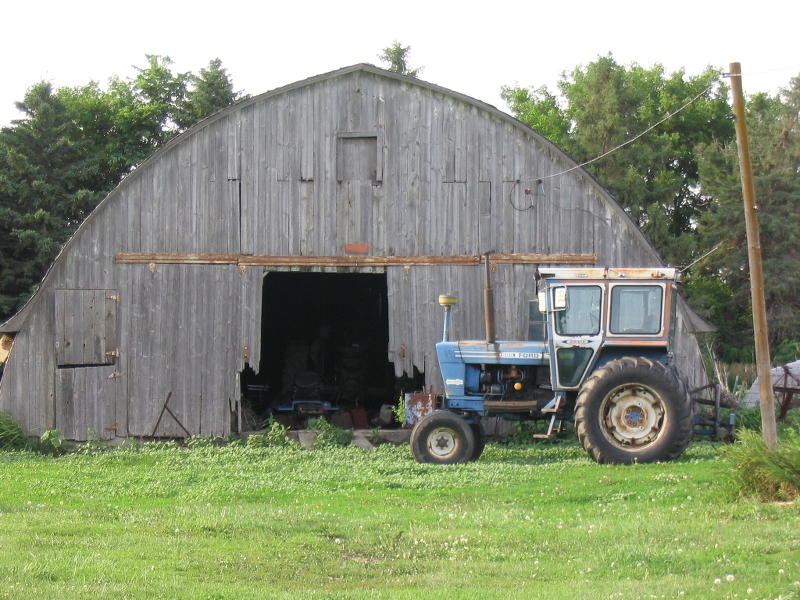 When Nyle quit milking cows in 1970, the barn was used mostly for hogs and storing his farming equipment. Nyle’s son Duane eventually bought the farm from his parents, but never moved back and let Nyle and his wife continue living on the land they had inhabited for sixty years. After a particularly bountiful fall in 2001, Duane needed additional storage for corn, so he piled the surplus on the barn’s floor. As the corn pile settled, its weight pushed the frame of the barn off its foundation, and the barn began to lean to the side. Though Duane tried to pull the frame back with steel cables, the damage had already been done, and gravity quickly took over. In the summer of 2011, Nyle was tending to his garden when he heard a loud crashing noise. 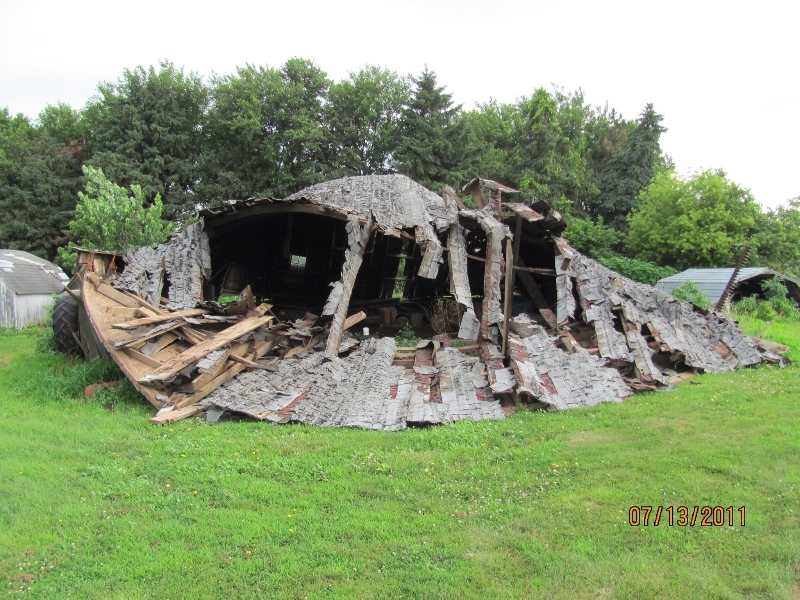 Fifty feet away, the barn, which had continued progressively learning south over the past ten years, finally gave way and crashed to the earth. For Barnwood Trays purposes, this barn has been retired.